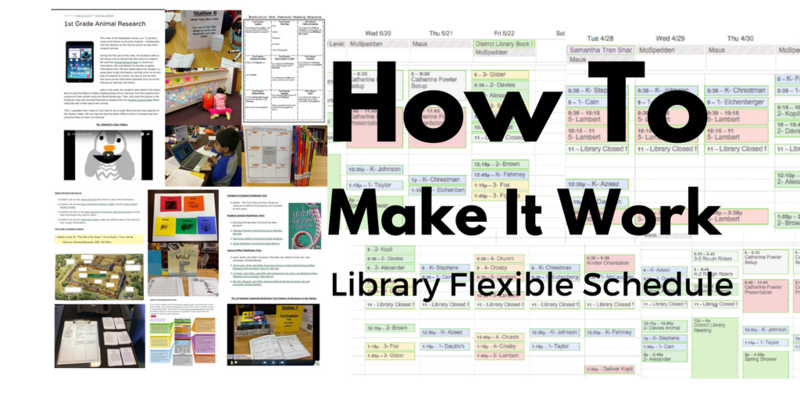 One of the things I get asked about the most as a presenter and speaker is to talk to librarians about flexible scheduling. Or in some cases, to avoid talking about it because “it just isn’t possible at (insert campus name or district name).” I know elementary libraries; I served for one year at the Pre-K level and 4 years at the elementary level at two different schools. I know that mentality of “we have always done it this way, and this is the way we are going to keep doing it.”What I also know is that a person with enough gumption to go in and rock the boat and change things up can fight for change and make it work! The thing about libraries on a fixed schedule that I noticed too was that I didn’t have any curriculum. Music, art, PE, have TEKS (state learning standards) they have to teach and cover, but there is no such thing in Texas as library curriculum. So I was busy trying to make up stuff to do with my students and entertaining storytimes, but these things were not instructionally relevant. I mean they could be, but I had no real way of knowing because I wasn’t collaborating with the teachers. I went to an elementary school that was used to a very fixed schedule where classes came every week and returned their books and checked out new books and had some library activity or story time. 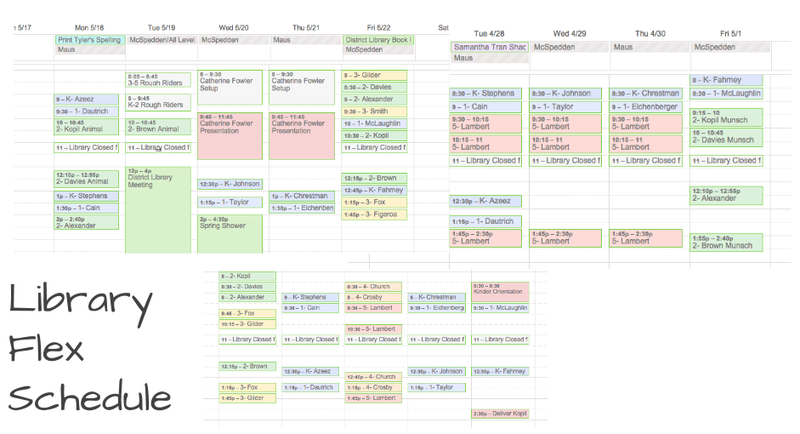 Over the course of three years, I was able to move that campus from a very fixed schedule to a complete flex schedule. The first year I was there, teachers in grades K-2 dropped their classes off for 30 minute library times and teachers in grades 3-5 dropped their classes off for 30 to 45 minute library times every week. One of the things that bothered me most about the schedule was that my precious readers were returning their books on library day every week regardless of whether or not they were done with their books. I watched in horror as they would yank bookmarks right out of the middle of a book and turn it in! Why?!?! You aren’t done with it? They were so involved in the routine and the excitement of getting more books, but they were not behaving like genuine readers. 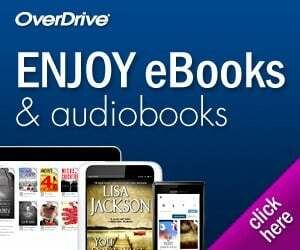 Genuine readers don’t turn in their book just because it’s library day! I wanted to instill the habits and behaviors of readers in my students, not increase my checkin and checkout stats. I knew something had to change. No more whole class check-in and checkout. They would send their kids individually, in pairs, or in small groups of three to come to the library and check-in and out books as they needed to based on their reading needs for their classroom reader’s workshop. This allowed me to engage in actual reader’s advisory with my students instead of herd mentality where are the Wimpy Kid books? I also became VERY lenient with “due dates.” I began telling the kids your book is due when you are done with it. If you need to abandon a book the next day because you don’t like it or it’s too easy or too hard, so be it. If it takes it two months or two days to read your book, you return it when you’re done. (To this day I do not believe in Due Date stamps, cards, or slips in a book.) No more pulling bookmarks out of the middle of a book they weren’t actually done with. These rules took effect across an entire grade level with the whole team of teachers on board. We then proceeded to start the collaboration process. Throughout the school year we collaborated 16 times for curriculum related lessons. I would email, meet with the teachers, talk to them on the phone on a regular basis to help them determine what pieces of their lesson plan would make the most sense to teach in the library. In most cases, I would take a lesson that was less than awesome, and bring it to life with technology, library resources, stations, and hands-on activities. I would create the activity page or the product that the students would work on throughout the course of the activity. I would gather the necessary resources and supplies. Acquire any additional technology. Make the answer key (if there was one) and provide copies to each teacher. I did all the leg work for the lesson so that the teachers just had to show up with their students and help me co-teach the content. I relied heavily on the teachers because of course they were the experts on their content. I would ask for their guidance and input on the activity sheet I was creating to make sure it aligned with what they were doing in the classroom. I also relied on them when they were with me in the library to ensure that students with IEP’s or 504 students were given all the necessary modifications and accommodations. These library lessons became some of the most memorable experiences for the students and teachers for that year because they were such shining examples of the power of collaboration and enriching and enhancing the curriculum! I asked those teachers and students at the end of that year to help me create a video about this flex schedule experience. That video is embedded below. So, I went to my principal armed with this experience and the video and examples of the curriculum related work we had done together, the teachers, the students, and myself. The result, I was asked to present that video and examples of the lessons and student work at the back to school faculty professional development days. That third year, I was allowed to implement that model across grades 2-5. 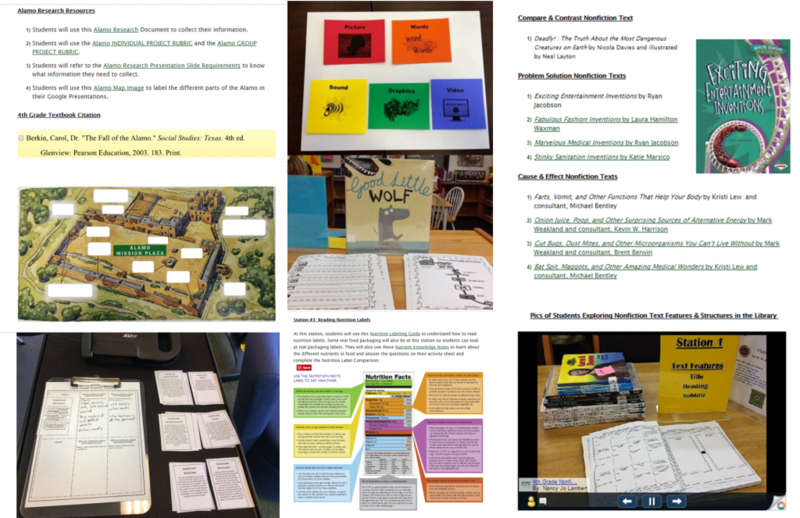 There were bumps and other issues that we had to work through in the other grade levels, and still some opposition, but it was clear this model was in the best interest of student achievement and making the library instructionally relevant. The following year, I went to and opened a new elementary in my district, and my new principal was behind the flexible schedule model 100%. I did still have Kinder and First on a somewhat “fixed” 30 minute library visit each week (especially at the start of the school year). 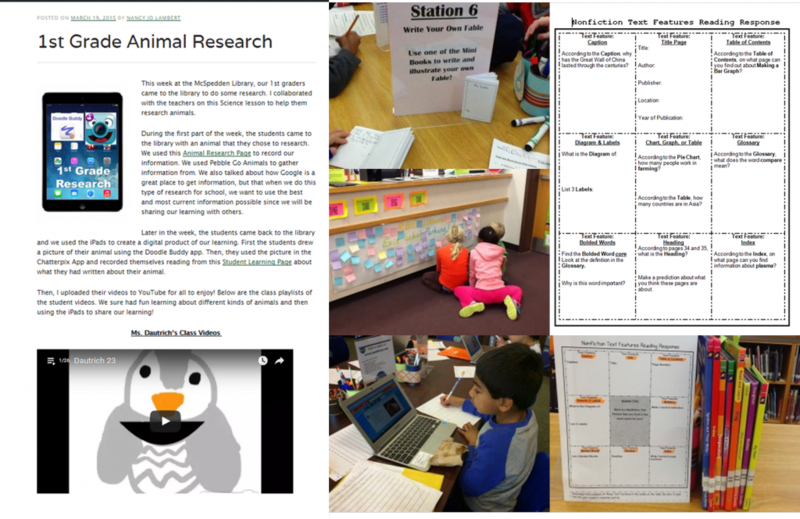 However, as the school year progressed, I was able to collaborate on broader scale with those Kinder and First grade teachers and make their library visits more curriculum driven. I also made it clear that we could change their “times” at any point should we need more time or to see all the classes over the course of a day or two to get in their curriculum lesson. I would also tell their “times” had to be flex in case another grade level needed that day for their lesson. I know that flexible scheduling is one of those topics that we all know is what’s best for kids “in theory,” but often difficult to implement in practice. However, I encourage you to find ways to make it a reality in your elementary or secondary campus. After putting flexible scheduling into practice and making it a reality at more than one school, I know it can work. It does take a lot of perseverance and dedication though. Be prepared to consistently having to solicit and remind teachers you are there as a resource. Be present as much as possible in planning meetings to offer those ideas and suggestions to enrich and enhance the curriculum with library resources and your own ability to co-teach. Find a tool that works for you AND for your campus when it comes to scheduling. I have used a variety of resources like Google Calendar, Outlook Calendar, my library website, and email as a way to schedule the library. Be prepared to meet the teachers at their point of need to accomplish the planning and collaboration (in person meetings, email, phone, text, carrier pigeon, etc.). I would NOT try and see every class every week. I would try and book collaborative activities with the grade level and usually those would take about 45 minutes. We would not necessarily have class checkin and checkout. I really tried to keep the library open for self checkin and checkout as much as possible. Some classes came more than others because the teachers were more willing to collaborate. I tried to see each grade at least once a month, and usually it was more. This is exactly what I want ant to do and have needed to do and you finally put it in words and showed a plan that I now feel I can use and share with my teachers. Thank you so muc!!! Great post! How do you see this working if a teacher librarian is split between three buildings? Thank you SOOOO MUCH, Nancy Jo, for sharing your experience of implementing a flex library schedule and your collaboration activities. For the first time ever, I have a flex schedule at both campuses I serve. This has been difficult for some teachers, since they were used to the fixed story time / whole class checkout each week. Since you shared your story, I am so encouraged and feel like I have a better understanding of the types of things I can do to collaborate with teachers. Thank you for sharing your activity files as well! Do you have any additional tips for me as the Librarian to help teachers see the benefits of flex scheduling & collaboration? Or do you feel that they will see the benefits over time once they have experienced it for awhile? Thank you for this post, it will really help me try harder to work away from the “always did it this way” I struggle with as a current elementary librarian. As one who has also worked in an agricultural community I have to point out that you most likely meant “row to hoe” 😉 not road. Great post and application of flexible scheduling. In our elementary I’ve had to “make lemonade” with a semi-flexible schedule, making half of my time devoted to fixed visits to ensure my position. As our district only funds .5 FTE elementary librarian, , with our school uses a .5 FTE teacher planning time position for me to teach library-technology on a fixed rotation. The .5 FTE library position remains flexible for classroom collaboration and curriculum-related support and open facility usage. Its the flexible time that allows web-collaborations, author events, and teach-ins like our upcoming Juneteenth celebration. Couldn’t do that without a flexible schedule.